The following excerpt was sent by a dear friend and a frequent reader of the blog. It is taken from Richard Wurmbrand’s With God in Solitary Confinement. Wurmbrand, a Lutheran pastor who was imprisoned under the communists in Romania, always spoke well of the Orthodox whom he encountered in those places of confinement, and brings the insight that suffering for Christ often brings. I was deeply moved by this quote. “I once tried to explain ‘systematic theology’ to a Russian pastor of the Underground Church, who had never seen a whole New Testament. Systematically, I began to explain to him the teaching about the Godhead, about its unity in three Persons, the teaching about original sin, about the Fall, about salvation, about the Church, about the sacraments, about the Bible as infallible revelation. “He listened attentively. When I had finished, he asked me a most surprising question: ‘Have those who thought out these theological systems and wrote them down in such perfect order ever carried a cross?’ He went on. ‘A man cannot think systematically even when he has a bad toothache. How can a man who is carrying a cross think systematically? But a Christian has to be more than the bearer of a heavy cross; he shares Christ’s crucifixion. The pains of Christ are his, and the pains of all creation. There is no grief and no suffering in the whole world which should not grieve him also. If a man is crucified with Christ, how can he think systematically? Can there be that kind of thought on a cross? This story illustrates the vast distance between theology as an intellectual construct, or even the s0-called ‘rational’ interpretation of Scripture and what the Elder Sophrony once dubbed ‘dogmatic consciousness.’ The Fathers of the Church did not offer us theology as their ‘best guess’ or as the fruit of superior reason. What we know in the Church as dogma, we know because it is know truly and experientially. It is known as the Scripture knows God and as the Church knows the Scripture. Our struggle in Lent is the daily union of body and soul in the Spirit of Christ. Within such a union and the ascesis that is natural to it, it slowly becomes possible to know God and the things that pertain to God. ‘Take up your cross,’ is the commandment of Christ. Without this ‘taking up,’ we will know nothing. Thank you so much for this posting, Fr. Stephen. I think this priest captures one of the essential differences between Orthodoxy and most expressions of Western Christianity – the preference for certainty rather than crosses. It’s also so important for us Western converts to be reminded of our tendencies to make things systematic – even Orthodox things. I know that is especially true of me. Simone Weil said that “affliction is by its nature inarticulate”. It is much easier to be articulate and certain, than to be suffering with and for others in the Presence of God, to struggle for faith despite all that is unsystematic in our lives, to become peace for others when you are in so much pain yourself. To let go of certainty is so hard – we’ve been taught/conditioned that it’s our only handhold. Even when our suffering forces us to let go for a moment, our minds are always searching for another handhold. I often wonder how much or how many times I will be shaken before I really learn to carry my cross. This has been a particularly inarticulate and unsystematic lent for me thus far. I know nothing. Sometimes the words “take up your cross” make it sound like you have a choice about having a cross or not having a cross. I have a cross (es), but when I am most aware of my cross, I seem to focus most of my attention on uselessly trying to get rid of it or forgetting about it or complaining about it. I think we are always carrying our crosses, but it’s more how we carry it that can either bring life or death to us and those around us. I know his cry “My God, My God, why have you forsaken me?” to be the first line in Psalm 22, which goes on to state that all the nations will worship the Lord and that all generations will proclaim the deliverance brought by the Lord. Was this not a statement by Jesus of his immenent victory? I am not challenging the quote in the post. I am sincerly asking. I always thouth that Jesus, as God, would know that God has not forsaken him. I will say that personally, hearing differences in theology and doctrine between what I was hearing in the Catholic Church and the Protestants with whome I was studying scripture, led me to a laymans study of systematic theology as a means to determine what was true and what was not true. This led me to on a clear path to Catholicsim, but it was exactly that study which leads me to take up my cross, not the other way around. Systematic Theology can be a means to and end, not just an end in itself. Barbara, that’s a really insightful comment. Thank you!! Tim H, I would say He did know as God and it is correct to see in his cry the prophesy of his victory. However, it can easily be the existential cry of all humanity and of each person as we live in a fallen world, separated from God by our own sinfulness. Thankyou Father for this post. I can agree with Tim, in that theology, and the fruit of studies from Church Fathers have greatly enriched my walk. Thesis’, commentaries, and sermons (not to mention blogs like this) have benefited my relationship through knowledge of theological concepts, and ideas…however, some of my best tutors have been pain, suffering, and relationships. The experience itself.. The Wine and the Wineskin..we need them both..
Amen! For is it is better to know God than all the knowledge about God. Who is in that picture? Without going into it, I feel not so much the baffoon. I was very touched by this story when I heard it the other evening, and I’ve thought of it often since. Thank you for sharing, Father. Very strange . . . I almost posted the same photograph yesterday. The man’s eyes are captivating. The Church’s theology would not describe Jesus’ statement on the cross in the manner this simple priest did. But this simple priest spoke from the proper simplicity of sharing the suffering of Christ’s cross – which would leave me loathe to dare correct him. I will admit that Christ’s words from the Cross, have meant more to me when my heart has heard them in the less correct manner, than when I think about them in carefully parsed Christological terms. I believe, accept and teach the Christology, but would be far more worried about myself if my heart did not understand what this simple priest was saying. I obviously still know too much. St. Thomas Aquinas himself was a mystic! Seems to me that what we mean when we say systematic theology is that it is a coherent understanding of the faith. Of course, one can be systematic and realize, as did St. Thomas, that there was much that was not known. Our faith should lead us to prayer and our prayer to a deeper understanding. As B XVI has said, it is not theology unless it is done on your knees; or, as some have put it, ‘Lex orandi lex credendi.’ Spirituality and theology are not two separate disciplines. For many, the reason they do systematic theology is because it is how God made us to understand and because we love we want to understand more. It is the reason they carried the cross. So, yes, many who have done systematic theology have carried very large crosses. After all, the will cannot love what is not first in the intellect. Also, I think Tim is on to something, Jesu had the beautific vision in his humanity. He did not wonder wether the Father would forsake Him. Even so, he exprienced the pain of all our sins on that cross. I actually find this story a rather one sided view of theology, of Christ, of human beings and of Faith. Was Jesus’ time on earth only suffering without any kind of joy at all? Did Jesus never ever think in an ordered and systematic fashion? To suggest that Jesus never thought in a logical and coherent fashion seems to be rather an absurd suggestion since Jesus was as we know wholly a man as well as God. On the other side there is danger in study and theological work drying up the spiritual life and a theologian who does not pray much is not a great theologian. However to assume that those who have worked hard to offer a comprehensive and ordered presentation of the truth of Jesus Christ have never suffered is a bit of an assumption. In fact someone who labours in this way is carrying their own cross. In the same way as I feel suddenly an awesome responsibility when asked to explain something of the Faith to one who does not believe so also does the true theologian feel this awesome responsibility before God. If I feel or even have a certainty that I have failed to explain something well I will experience a kind of moral suffering and am forced to rely on God more and more. I actually think that what this underground priest is saying is in some ways contrary to his own experiences as a pastor. The very fact that he will in his time have decided to teach certain truths to certain people at certain times even during suffering is evidence of some form of system. A priest who has a bad toothache or some other form of suffering before he has say a sermon, will ask God for the grace to teach clearly the truth which he wants to present to his parish and his flock. If one day he wishes to talk of God’s mercy he will have to present some of Jesus sayings, as well as the fruits of his own study and prayer and if he presents these things in an incoherent manner because he has neglected through his own fault a sytematic study of theology he will have failed his flock. Another point to be made is this: to be a theologian is a vocation from God. Anyone who looks at the Church will see that some are called[eventually i suppose] to be Bishops, then you have Priests then you have Monks, then one has to further divide the various things that God calls religious people to. Some Priests seem to be called to work especially to those who are sick, some to those in prisons etc and likewise the vocation of teaching and defending the faith is a vocation from God and it suggests a kind of secret pride to reject the idea of a theologian. The same goes for the heroic work that the female religious women perform for God and Man. In fact assuming the Priests assertion that one cannot suffer to be able to think sytematically which I challenge, if this was the case one would expect God to protect his holy theologians from suffering while fulfilling their duty to God so that they could think systematically. As for the idea that some day knowing nothing, you will be more Holy, well I would be inclined to reject that completely. The reason being that the holy man is wiser than the unholy man. Wisdom therefore indicates knowing more. I suppose one could say that the more you know, the more you know how little you know but this is actually relativistic. Lastly there are plenty of examples of Saints and other worthy people in western and eastern Christianity who suffered greatly yet are revered for teaching clearly the truths of the Faith. Suffering and Theology no matter how well ordered it might be [I cannot help but mention how well ordered creation is] are not mutually exclusive. I can’t help but state that this poor underground Priest should have confined his advice to the person in the form of an exhortation to not allow sytematic theology to dry up his prayer life and the flow of Grace from God as a consequence of that. I do not wish to be interpreted as saying that God will not use extraordinary means to enlighten his people. Only that the ordinary means for a Priest and teacher/catechist to prepare for their job will include study and since God’s creations are ordered so the Church will tend to order as well as a creation of God. Secondly to teach and present theology is a labour of Charity. Since I would not be willing to assume that none of the Theologians ever asked for this virtue of God, likewise I would not be inclined to reject it. Thirdly I do believe that those whose wisdom comes directly from the action of God will probably be more enlightened than those whose wisdom comes via the teaching of the ministers of God. However I see no evidence that there is or even can be any contradiction between the truths gained or indersood in the the extraordinary way can contradict those that the church teaches ordinarily since the Church is the pillar and ground of the Truth. Good points, all! Love can be both systematic and unsystematic but it is never theoretical. Some day you will know nothing. Then you will be holy. Still needs a reference to a season or nature, but not bad. “This pastor [speaking of the underground Russian priest], uncultured theologically, did not even know that he was thinking the same way as Kierkegaard, the most eminent Lutheran theologian who, from another standpoint, also denied that a Christian can ever speak academically about Christ. A Christian is a person who is madly in love with Christ. Juliet could not make an eloquent speech about the anatomy of Romeo’s body. She could only caress him and express to everyone her burning desire for him. Thank you all for your keen insights and thoughts that you have put in “print”, so clearly influenced by a life lived in love with Christ. As a protestant pastor I often feel a lack of depth that Orthodox and Roman theology and practice present. The obvious desire of all is that we are known by God and that we know God. Since Jesus is and was God it seems to me that we need to know “about” Him just as we know about friends and family. However, we need more. We need, and surely want, to know God Biblically, i.e. personally through love, friendship, trust and submission? As a lover of systematic theology this bloggpost has been inspiring me further in my love for the One who told me to know Him by loving Him and to follow Him and to pick up my cross. Thanks. In Holy Tradition, the early Church Fathers are first given their monk’s habit on Mount Athos, this to protect them against the devil and demons in battle. In the Gospel of Mark, the Apostles are told to leave all their personal belongings behind, save a staff, before setting out on the great commission (Mark 6:8). St. Mark certainly had an eye for detail. Dear Father, bless! Thank you for this post. I think this is a book I will have to read. Regarding Jesus’ words from the Cross, without denying Jesus knew of His ultimate victory (as the rest of Psalm 22 shows, and we know He also did cry at one point, “It is finished!”), I think it is significant also that this is the portion of Psalm 22 that He felt the need to cry out at that moment and that it is recorded for us. Surely His sense of forsakenness was as acute at that moment as any a human being has ever felt! He has *borne our sorrows and carried our griefs* as Isaiah says. Hebrews says He learned obedience through the things which He *suffered.* . . . It seems to me this speaks so utterly clearly, as nothing else could, of the depths of His love for us. With regard to *systematic* theology, it seems to me this is not found in the Scriptures, which are primarily narratives, and did not come from Jesus’ lips. I was always frustrated at the reductionism and of the various systematic theologies I studied in Western church history (as a Protestant). I encountered spiritual sterility wherever I was tempted to place my trust in them. I also couldn’t help but notice a real contrast between any system of theology devised and the “living” way the Lord seemed to speak to me from the Scriptures. I found the meaning of the Scriptures could be very enigmatic when I was trying to organize their teaching into some system, whether another’s or my own, but on the other hand I always found that *word* that spoke very clearly and unambiguously to my concrete situation when I prayerfully looked to the Scriptures for personal guidance from God. All that is not to say that disciplined study and carefully thought out and worded dogma are not essential to establish some proper boundaries in our verbal expression of the Faith, but I suspect that is what you will address when you take up the topic of dogmatic theology. Since those who have the veil of mortal limitations totally removed from thier eyes, — those who have entered into the fuller fruits of redemption through the blood and suffereings of Christ — exalt Christ’s death above everything else, we mortals would do well to study into the true meaning of that death. Holy Tradition holds that the Theotokos and the Apostle John established this great spiritual practice on Athos, following their departure from Joppa . . . I completely agree with this. This is why I said that without prayer one’s labour will be fruitless. Not to mention that the holy Christians words will have much greater effect than the one who speaks with no personal development in holiness. The problem is that any attempt to teach theology will end up organised and systematic in some way. I am unfamiliar with protestant systematic theology and will remain so until I die but as a Catholic to reject the works of St Thomas Aquinas, St Alphonsous Ligouri, St Robert Bellarmine because they have been theologians more or less systematic would be completely wrong. Especially were I to think that they never sufferered in comparison to me and therefore I knew Christ better than they. I have been told that protestant systematic theology is different to the style of the above mentioned Saints. Paul, I think the error I ran into comes when one attempts to reduce God to someone’s theological system and, especially, to rest the weight of one’s faith in that system of understanding, rather than in God Himself. Of course, there can be substantial value in studying what the Fathers of the Church have taught in their exposition of the Scriptures and of their Christian experience if approached properly. I would go further to say that there can be spiritual value in studying the thought even of those of stature and sincere piety from other Christian traditions. I think of C.S. Lewis and Chesterton, for example. They weren’t systematic theologians recognized by the Church, but they were great thinkers who had a lot to teach us about the nature of the Christian life and faith, especially juxtaposed and contrasted with the modernism of their (and our) time. We Missouri Syniod Lutherans do not differ all that much from the Roman Catholic church. We claim “catholic” with the universal meaning. Wurmbrand had it correct when he spoke to the Cross with his belief and understanding. Martin Luther never wanted to leave the original Roman Catholic Church. He was excommunicated because he disagreed to paying for Indulgences in Germany to pay for St. Peter’s in Rome. The church with Headquarters in Rome eventually had their own Reformation which did away with the paying for Indulgences. Thus, I believe I am separated from the original Catholic church by the actions of the Pope in Martin Luther’s time. There is a general understanding in Orthodoxy that the canonization of St. Gregory Palamas and the victory of his teachings over those of the scholastically trained scholar, Barlaam, were something of a refutation of the scholastic model that so dominated the medieval Latin world. This can be overblown, but has much about it that is true. I do not argue that Aquinas was a man of prayer, but at the end of his life, he refused to write (having had a very deep spiritual experience) and said, “I have seen something that makes everything I’ve ever written look like straw.” At its worst, Scholasticism produced doctrine rooted in reason (extended from “revelation”) but led to much trouble. Protestantism itself was initially a scholastic movement. Both Luther and Calvin were trained in the method and have given the world traditions of systematics that have yielded many books, but a very fragmented and fragmenting Christianity. The Lord Jesus promised: ‘He who believes in me will also do the works that I do; and greater works than these will he do, because I go to the Father” (Jn 14:12). The saints are living proof of the fulfilment of this promise, and they encourage the belief that this is possible in the most difficult hours of history”. To me, the elevation of St. Teresa of Lisieux to be a Doctor of the Church kindles more hope for your communion. She didn’t suffer, outwardly, a great deal, but she learned to love without measure. Her “Little Way” appears to me to be a very Orthodox way. If I may quote a better man than I, many Catholics intimidated by the heroic sanctity of a Campion, a Loyola, or a Xavier can relate to St. Teresa’s “Little Way”, and they will find many Orthodox and Protestants already walking it. I have a question; Why do i get banned from blogs for quoting scripture? Does not the Orthodox communion rightly venerate St. Queen Ketevan as well as St. Anthony and St. Basil? One a heroic Saint that suffered greatly for her faith and the others following an ascetic life. Jesus, being deity as well as man, ‘could’ and was ‘able’ to free Himself at any time He wished from the cross. What I find very humbling, is that He chose NOT TO. Instead, Jesus, the man, cried out to His Father for help in His pain and agony on the cross. To enter as humanity, into God’s presense without having been through redemptive sufferring is impossible, for Our Lord is pure, perfect and without blemish. Jesus was that way when He arrived here, but because He was also human He also took on the imperfections of humanity. Jesus came to us through our Father to be an example to mankind of what it takes to rid ourselves of those imperfections in order that we may enter into the Kingdom of God. In our imperfections we are separated from God and as such, must bear the burden of refinement for our sins past and present. Jesus showed us what that refinement looks like on the cross, by taking on all sin past, present and future. This separated Himself from His Father for the time it took to pay for those sins. It is during this time of payment that He could no longer ‘feel’ His Father with Him. The human Jesus, cried out in desperation the longer it took to make the payment that was necessary. Because Jesus was deity manifested in human form, He could better understand and/or feel the same way that we do. The reason Christ came to earth was to take on man’s character so that He could identify with mankind and therefore, teach us about God in a way that man would understand. He is our intercessor before God. He can say that He understands mankind’s imperfections and will therefore be just. And as deity He could take on a refinement that no mere human being could withstand. Jesus as man, knew without a doubt what was ahead for Him, and as a man, had the same fears and anxiety. Even so, He did not allow His humaness to interfere with His plan to right the wrong for us in the most giving and accepting way. He had the courage of His own convictions and accepted the will of God. Christ’s humaness mades Him real to man and His deity mades Him uniquely capable of doing the things He did. and Christ the diety, performed the necessary task for the greater good of mankind. A complete and simple explanation of Orthodoxy – attend Liturgy, pay attention, and pray. Western minds seek a more rigorous path, but here lies the fullness of the Orthodox Faith. If systematic thinking cannot be thought while carrying a cross, perhaps it can be thought in contemplating God’s beauty? Father Hopko said to you the more you know about God the more you realise how little you know. I liked this idea. The shinto religion have a saying, knowledge is death. And the tree of knowledge of good and evil led to death. And i’d like to offer some thoughts and if you like you can respond. Maybe the point about knowledge is that at least in terms of His energies, our knowing them are completely up to His will. To want to know things can be a proud inclination. PErhaps that is why knowledge kills. Notice how when we know a thing, that thing somehow lessens in value and we feel puffed up. We can not handle knowledge properly. I think more to the point, the whole idea may have been that God needed us to be good and ready for knowledge. And it is then and only then that He reveals Himself. When he finds us relatable and obediently loving. Funny how the word ledge in in the word knowledge. A dangerous bit of territory the old ledge. On another note, the things knowable that lead to our good can lead to the benefit of many so keep writing. The things unknowable are death to define so let us together approach them with a sense of wonder. As a Catholic, I understand what the story is saying, but I see no actual opposition between systematic theology and the Cross. The Cross enriches the understanding of theology; systematic theology helps in understanding the Cross. Without the Cross, or without a deep prayer life, theology can become dry and detached. Without theology, a systematic, carefully worked out theology, the Cross and prayer can be reduced to subjective experience and come unmoored in moral relativism or “relevancy,” relevancy being something I’ve heard has weakened Evangelical churches because of a watering-down of theology. Jesus, as God, was not only a man who suffered, but Wisdom incarnate, the Wisdom that orders creation, and has come to redeem and re-order, re-create, creation, and teach us about God and the meaning of life. He is the Truth. And so He is eminently systematic, the ultimate systematic theologian in everything He says and does, but in a way that far transcends ordinary human understanding (his thoughts are not our thoughts; Is 55:8), and which only the Holy Spirit can guide us in understanding. Which I believe He does in part through good systematic theology, one ultimate lived expression of which is the Cross. Well put Theo347! As a Protestant pastor, i can bear witness to this “watered down” theology that has crept into some of our churches. It is a passion of mine, and many other Protestant pastors to bring a balance back to the denonminations between, authentic relationship, sound doctrine, and holy practice. Thank you all for your posts..
PS: Thanks Father Stephen for the food, and I think your kitchen is beautiful! The Orthodox experience, I think, differs in many ways from both Catholic and Protestant. In Orthodoxy, the whole of dogmatic theology is interwoven in the life of the Liturgy and services of the Church and are thus prayed over the course of the year. Theology is sung and experienced in a way that differs from anything in RC or Protestant life. Many modern Churches (which would include the modern RC Church in my view) have diminished this once ancient aspect of the wholeness of the Church’s life – thus needing to consider “balance” and the like. Also, I would never call Christ a systematic theologian. Or, I would say, that is most certainly a higher view of systematics than I’ve ever had, or seen in the fathers of the East. The deeper we enter into the mystery of the Gospel of Jesus Christ, the Son of God, the simpler it seems. It no longer seems systematic. That said, there is a place for reasoning and research in coming to understand the Gospel, especially for those not yet in Christ, but who are seeking. Thank you for your teaching, Father. Pray for me, please. I think a read of Fr. Jordan Aumann’s, OP, book Spiritual Theology will but a end to this nonsense about systematic theology only being for those ‘not yet in Christ.’ Reasoning and research can be done apart form theology. Theology can only be done in Christ. There is a richness in the RC church, we have just thrown much of it out. Now, BXVI is bringing it back and he is enlisting the aid of the orthodox. Several religious orders are bringing back their liturgical tradition that they had jettisoned for the Novus Ordo as well. The Eastern rite churches, both those in communion with Rome and those that are not, have done much to preserve the liturgy. Hopefully a restored liturgy will inspire greater systematic theology and vice versa. The two are not oppose, as Fr. Stephen has mentioned. Fr Stephen if it would still be fruitful past comment 50, perhaps you would explain what precisely “systematic” theology is- including where is its weakness, and its danger to tempt a genuinely pious and faithful believers. Blake and others, for myself I read this brief post somewhat devotionally, as trying to point us in a direction. It is a reminder to me not to put principle emphasis on understanding the workings of ‘spiritual reality’ but embracing a simple Christian posture, living according to faith and hope in this world of suffering. This should be sufficient to understand everything God wishes me to know, in time. I would go further, Blake. We are not so much commanded to be right but to love our fellow as God has loved us; for without Christ’s perfect law of love, man has gained nothing. I think the choice between ‘cross’ and ‘system’ is itself a false dichotomy. Vladimir Lossky is surely correct when he says “we must live the dogma,” but this cannot be accomplished without prior knowledge of dogma. 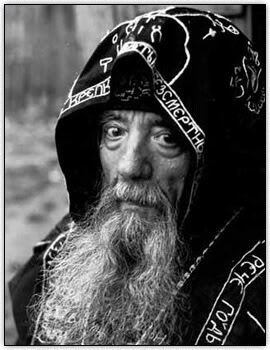 Thus Lossky goes on to say that “the eastern tradition has never made a sharp distinction between mysticism and theology; between personal experience of the divine mysteries and the dogma affirmed by the Church…. Far from being mutually opposed, theology and mysticism support and complete each other. One is impossible without the other. If the mystical experience is a personal working out of the content of the common faith, theology is an expression, for the profit of all, of that which can be experienced by everyone” (“The Mystical Theology of the Eastern Church,” pp. 8-9). While surely subservient to the universal end of theosis, theology is nevertheless “the foundation of Christian spirituality” (p. 11). You can’t get ‘crosses’ therefore, without ‘system,’ you can’t take the ‘dogma free path to theosis’ without devolving into subjectivity, “a mingling of truth and falsehood, of reality and illusion” (p. 9). In addition to Thomas Aquinas’ assessment of his own writings at the end of his life after His deep experience of the Presence of God, I also thought of the book of Job. The contrast between the reasonings of Job’s comforters and even Job himself on the one hand and Job’s experience and attitude when at the end of the book he encounters the living God face to face on the other I think are another illustration of the reality Fr. Stephen is communicating here. I think also of Psalm 130 (129 LXX). Where I would push your thoughts a little, would be the assumption that “theology” and system are somehow synonymous. Of course, I would acknowledge a place for rational thought, but the knowledge of dogma, though not subjective, is still a “noetic” event. It is not opposed to reason, but heals reason. The study of theology must include ascesis, purification, repentance, etc. Without the ascetical life dogma will remain merely an idea. This is why the Eastern tradition “has never made a sharp distinction between mysticism and theology, etc.” It’s because of how the Eastern tradition understands the nature of dogma and the kind of knowing in which it is grounded. Fr. Georges Florovsky referred to dogma as “a verbal icon” of Christ. This is, in my understanding, a fairly different account of dogma than is found elsewhere. It surely should be grasped on some level in a rational manner, but if it is only grasped in that manner, then the result is not salvific. To a certain extent, the Church’s affirmation of Hesychast theology in the Palamite councils of the 14th century, affirm the nature of dogmatic knowledge as being more than the product of reason, or simply revelation accepted by reason. This is an unspeakably wonderful prayer Fr. Stephen thank you. Please remember me in your prayers as I will you. Blake, The RCs have produced the best systematic theologians, no doubt, and many of them are very godly men. The Lutherans have also produced good systematic theologians. I’d take an RC theologian over a Lutheran one, however. I attended a Lutheran Seminary which stressed systematic theology and was very suspicious of mysticism. At least RC theologians grant that there is a place in the Church for mystics. When speaking of God we must recognize that His eternal power and divine nature can’t be comprehended by any system based on reason alone. I think the point is that we are to conform ourselves to reality, or let ourselves be conformed to reality, both in truth and in love. The will cannot love correctly if the conscience is not well formed. Correct thinking leads to correct loving, or to put it another way, orthodoxy leads to orthopraxy. This is of course the work of Divine Grace in us. However, it does not end just in right living; we are lift to participate in the divine nature Himself! We become divine, not by nature, but by participation – that is reality! In my pastoral experience, I would say that orthopraxy leads to orthodoxy almost everytime – whereas orthodoxy (depending on how it is understood) may or may not lead to orthopraxy. There are many simple believers, who faithfully living the life of the Church fulfill the truth of the faith. There are many not so simple believers, who, though knowing correct doctrine, cannot keep the simple life of the faith. But perhaps I quibble. this is a very beautiful and powerful testimony! Fr. Stephen, I don’t think you’re quibbling. Faith is different than chopping faith into propositions. The treasures of heaven are common and indivisible to all. Catholicity is a child of unity. Vladimir Lossky puts it beautifully when he says that the catholicity of the Church is realized in the richness and multiplicity of local traditions (without venturing into philetism) but bearing unanimous witness to a singular Truth (The Mystical Theology of the Eastern Church, pp 15-16). Ut caritas, et amor, Deus ibi est. Let me put it another way. How much of the Faith remains after we deconstruct it, separate the essentials from the incidentals, and reconstruct an edifice with only our essentials? Theology is useful only for defending the Faith against barbarians. Propositions were formulated with great care and consensus only when the Church was under attack. It’s interesting that we recite the Creed immediately after the priest commands us to bar the doors.